Jim Lawrence, MBA, RN, joined Saint Francis in 1992 as a nurse. In 2001, he worked to establish the first Wound Healing Center at Saint Francis Medical Center. He served as director of that clinic until 2004, when he worked with Alex Ogburn, MBA to establish the new referral services program. Jim served as a board member and later as President of the National Association of Physician Liaisons. 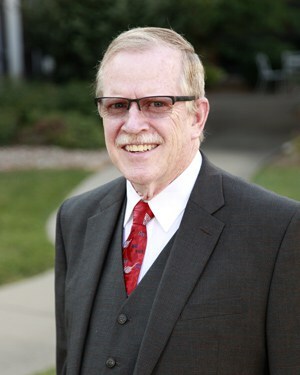 Jim has also served a President of the Board of Directors for Catholic Charities of Southern Missouri. He became the director of Business Development in 2013 and was named Director of Mission in 2017. His responsibilities in that role now include leading the Ethics and Pastoral Care teams, as well as ensuring the healthcare system adheres to its mission to provide healing, wellness, quality and love inspired by faith in Jesus Christ.